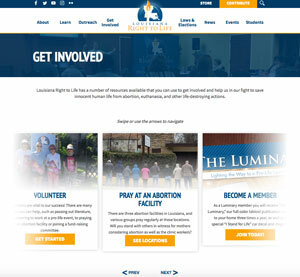 While in Kansas City at the National Right to Life Convention this past week, good news was plentiful! Out of the Supreme Court, pro-life pregnancy centers were vindicated and their free speech protected. The next day, Justice Anthony Kennedy resigned, opening up a giant vacancy on the Supreme Court. Reports indicate that President Trump will make a selection next Monday, and New Orleans native Judge Amy Coney Barrett is apparently on the short list. The Senate confirmation will be tough, and nothing is ever for sure on the Supreme Court, but the excitement is building! 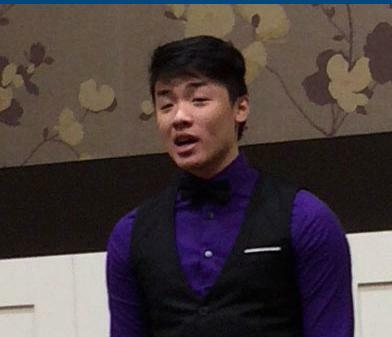 Finally, in Kansas City, Louisianian Henry Nguyen from Abbeville won the National Pro-Life Oratory Contest with his talk about euthanasia! In a neat turn of events, Henry learned about the contest after Krista Corbello from our team presented at his high school, Vermilion Catholic, this past year. This was on the heels of a fantastic Pulse Leadership Institute in Baton Rouge the week before. 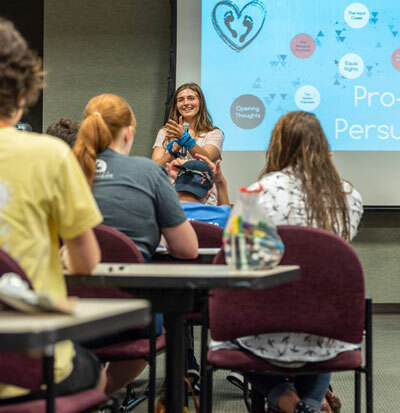 The pro-life movement, both in government and in our youth, is riding a wave of success. Let's keep it going. Have a great 4th of July! Last week's announcement that Supreme Court Justice and often swing-vote Anthony Kennedy is retiring has brought Roe v Wade to the forefront of national news. President Trump is set to name his pick for the high court next week, and Senate Majority Leader Mitch McConnell said there will be a vote prior to midterm elections. The president has promised a conservative nominee, which could alter the make up of the Supreme Court for generations. But there is still a long way to go. Abbeville Teen Wins National Oratory Contest! 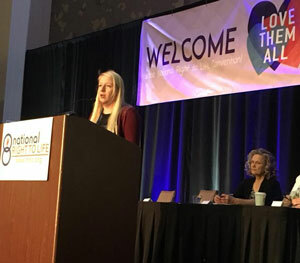 Henry Nguyen, a recent graduate of Vermilion Catholic High School, was the first-place winner in the National Oratory Contest, held at last week's National Right to Life Convention. Henry represented Louisiana after winning the state contest in May. His speech was on euthanasia. Henry presented the speech at the Convention's closing dinner, where he received his award. 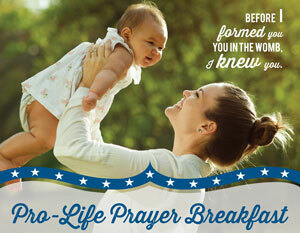 Join us for the first Northwest Louisiana Pro-Life Prayer Breakfast Aug. 23 at Broadmoor Baptist Church in Shreveport. 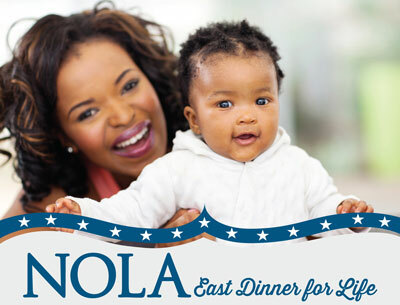 The event is sponsored by Louisiana Right to Life, and all proceeds will go toward expanding our pro-life outreach in the Shreveport-Bosser region, especially the Louisiana Life March North. Tickets and sponsorships are available. Read More About the Week! 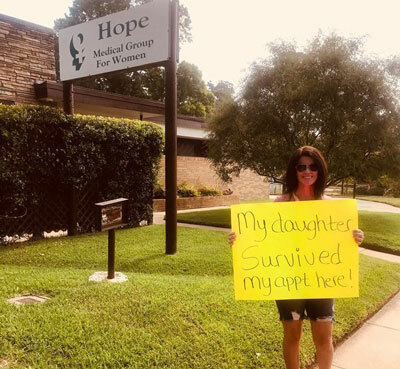 Seven years ago Amy Blackwell drove to this abortion clinic in Shreveport planning to abort her unborn child. She saw a man on the sidewalk praying for her, and she darted into the clinic when he turned away. On her return trip for the procedure, she remembered that man, broke down, and chose life for her unborn child. 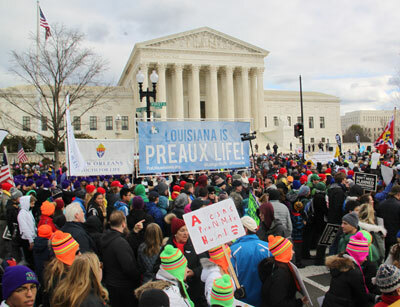 Do you want to get involved in the pro-life movement in Louisiana, but you aren't sure what to do? We have a number of suggestions listed on our website. There is so much you can do. Check the website's Get Involved page out today and find your best fit!